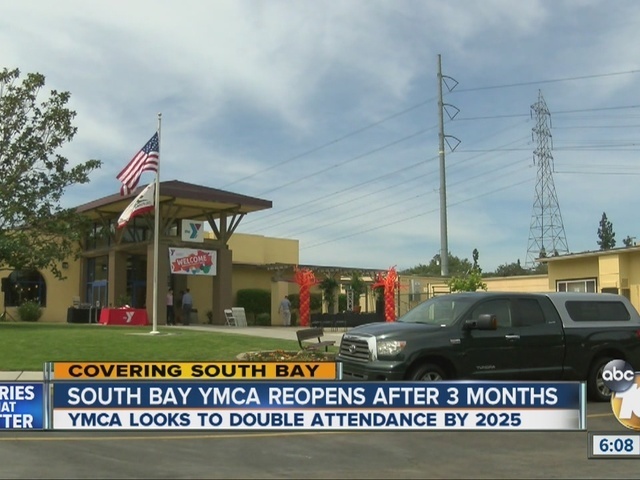 The YMCA’s popular South Bay Family branch reopened Tuesday after closing for a three-month, $1.8 million renovation. “This Y has been serving the community since 1960 and today, it just got a facelift,” said YMCA Regional Vice President Laurie Goganzer. Upgrades included a streamlined lobby, a new pool deck, and an expanded weight room with top-of-the-line equipment. The eastern Chula Vista location serves about 50,000 every year. Seventeen YMCAs across San Diego County serve 400,000 guests. Goganzer wants to double that by 2025. “We want to serve 800,000 people,” she said. In order to double their guests, the Y needs to raise $175 million and build five more facilities in the next nine years. One of those facilities is expected to be the new Bayside YMCA located in western Chula Vista.